The City of Brotherly Love did not come by that name without due cause. Never mind that this nickname is actually a literal translation from Greek, Philadelphia as a vacation destination point, is one that you really need to keep on your bucket list. 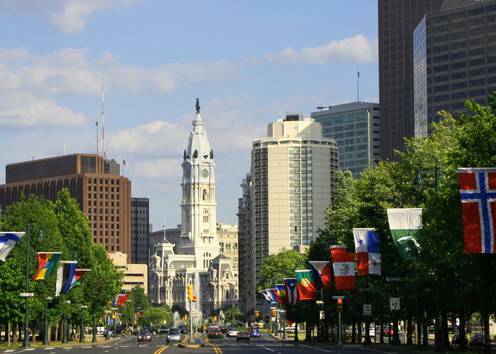 Historically, Philadelphia has its roots delving back well into the 1600s and grew quickly as a port city well known as an industrial center. And as immigrants congregated more and more, by 1950 there were over 2 million people who chose this vibrant city to settle. With the Liberty Bell calling it home, tourists by the millions continue to flock here making it one of the hottest go-to places for people from all over the world. But it’s not all about the Bell. Arts and culture play a predominate role in this city’s popularity. The unique cuisine offered here, such as the infamous cheesesteak, hoagies, and soft pretzel, will make your mouth water just thinking about them. Outdoor sculptures and murals tantalize your mind, and no matter what your vacation goals, you will no doubt enjoy the Fairmount Park, which is the largest landscaped urban park worldwide. Other historical sites for those bent on delving into the past include the Independence National Historical Park, Independence Hall, where the Declaration of Independence was signed; as well you can visit homes of famous historians such as Betsy Ross and Edgar Allan Poe and historic buildings that used to house famous banks and churches. You can round out your stepping back in time vacation with visits to the Franklin Institute, the Academy of Natural Science, the National Museum of American Jewish History, and the African American Museum of Philadelphia. And if art is more your style, you’ll be more than thrilled with all the artwork that has been amassed by several museums such as the Philadelphia Museum of Art which long flight of stairs was made famous by the Rocky film series. And if you time your holiday right, you can attend the many film festivals and parades including the famous New Year’s Day Mummers Parade or Fourth of July in Centre Square. There is also more than enough bling to satisfy your night life cravings including attending the Avenue of the Arts which features many amazing restaurants and theaters as well as the Philadelphia Orchestra. So whether you’re into music or art or you just want to dance the nights away, Philadelphia really is one of the most interesting and culturally significant cities in the US. So why not do yourself a favor and plan a visit soon. This entry was posted in USA Cities. Bookmark the permalink.